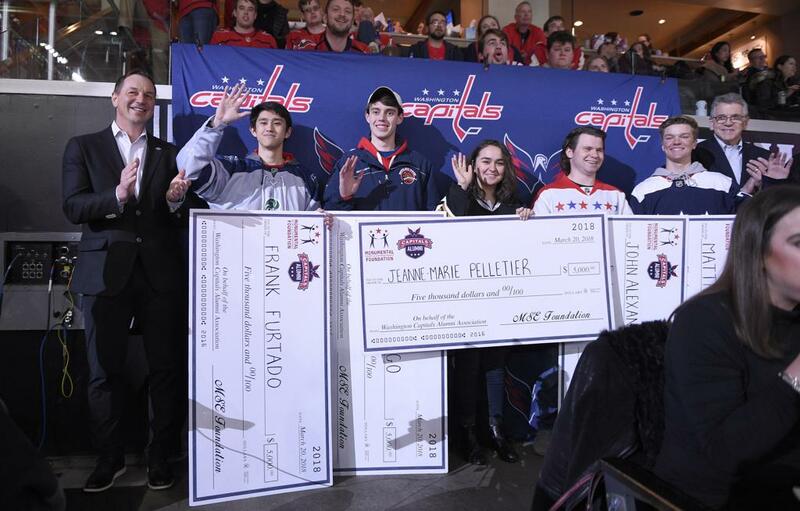 The Washington Capitals Alumni Association (WCAA) and Monumental Sports & Entertainment Foundation (MSE Foundation) announced today the application period for the WCAA Scholarship will open on Thursday, Nov. 1. This season marks the second year the WCAA has offered the scholarship. The WCAA Scholarship awards a one-time amount of $5,000.00 to one (1) student-athlete from each of the five (5) high school hockey leagues in the Washington, D.C., metropolitan area. These leagues include the Capitals Scholastic Hockey League (CSHL), Mid-Atlantic Girls Hockey League (MAGHL), Mid-Atlantic Prep Hockey League (MAPHL), Maryland Scholastic Hockey League (MSHL), and Northern Virginia Scholastic Hockey League (NVSHL). Each recipient must be a senior high school hockey player and demonstrate excellence in academics, in community service, and on the ice. Applications must be submitted by 12 a.m. on Monday, Jan. 14, 2019 to be considered. Each recipient will receive a commemorative check to be presented in-game at the Washington Capitals game on Wednesday, March 20, 2019. To learn more and apply, visit WashingtonCaps.com/alumnischolarship. Funds for the WCAA Scholarship are raised through the Alumni Rooftop Bourbon & Cigar Event, Alumni Summer Classic Game, and alumni online auctions. For more information on how you can support the WCAA, visit washcaps.com/alumni. The WCAA brings together the Capitals organization past to serve as goodwill ambassadors in the community for the future. The WCAA focuses on supporting each other and the growth of the sport throughout the metropolitan area through their involvement in the Future Caps Learn to Play program and the teams' high school hockey initiatives. For more information visit WashingtonCaps.com/alumni.